We are thrilled to announce the establishment of Galilee Medical Center’s new state of the art Moskowitz Cardiology Department. The new facility was made possible through the generous support of Irving and Cherna Moskowitz, and other friends of the hospital, including Raya Strauss, the John Hagee Ministries and others, with support from the Ministry of Health. The new department features 31,000 square feet of state of the art facilities, including 10 beds dedicated to the Cardiac Intensive Care Unit, 18 beds in the step-down unit, pacemaker and electrophysiology units and a brand new Catheterization Lab. The new facility will serve and treat over 4,200 patients annually. The entire department is protected and secured, even during the most vulnerable times in the region. This ensures that medical staff will be able to continue providing critical care, even under fire. 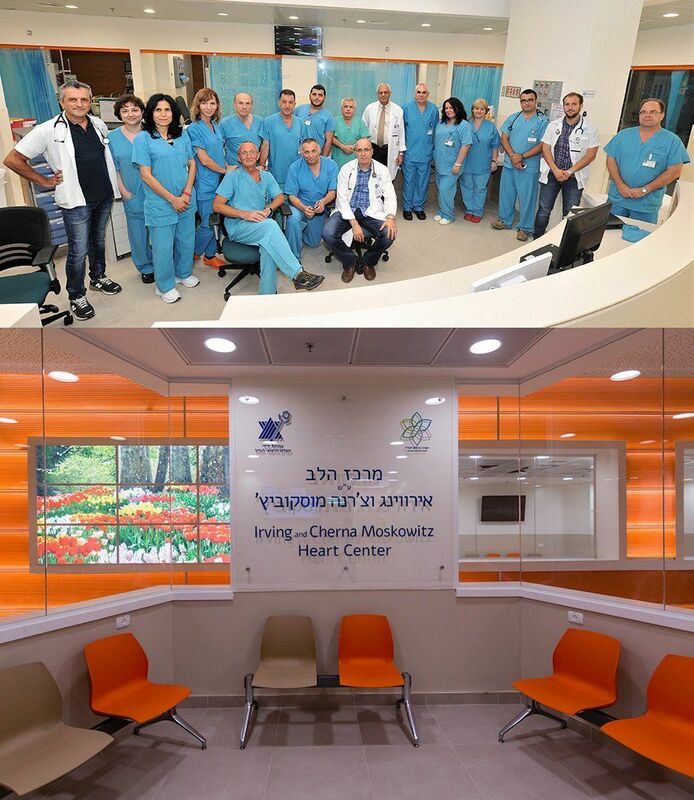 Under the leadership and guidance of Dr. Shaul Atar, Head of the Cardiology Department, we value medical research, and understand the importance of teaching medical students from Bar Ilan University. At 97% survival rates, the medical team for the Moskowitz Cardiology Department ranks #1 in Israel in survival rates post heart attack. Additionally, the department is a leader in Israel’s Ministry of Health Quality Measures survey. The region has a high rate of heart disease, and we are grateful that we are now able to meet the needs of the entire community through our state of the art department. For the first time ever, we are now able to provide cutting edge, life saving medical services in the best and most secure facility possible.